For the upcoming Thanksgiving day meal, all the conversations between the inlaws and outlaws centered around what everybody would bring. I jumped in front of the conversation and declared I would bring Mac n’ Cheese and I was not going to budge on that. And I was going to make it gluten-free and people were going to like it or risk an evil glare from me. The days of making 2 dishes are over. I do not mind at all making my own version of a dish that someone else is bringing. But whatever I make for the whole family is going to be gluten-free so I can eat it too. When it comes to macaroni and cheese, our history is just too deep for me to ignore it at the dinner table if it’s made with wheat flour. I have eaten many plates of mac and cheese at my great-grandmother’s house in a plastic bunny plate. My love for plates have not changed and neither has my love for this classic southern dish. The cheesier and creamier, the better. I think I knocked this one way out of the gate. Preheat oven to 350*. Spread butter on bottom and around edges of a 3 quart serving dish. Boil macaroni according to package directions MINUS 3 minutes. Cook very al dente. 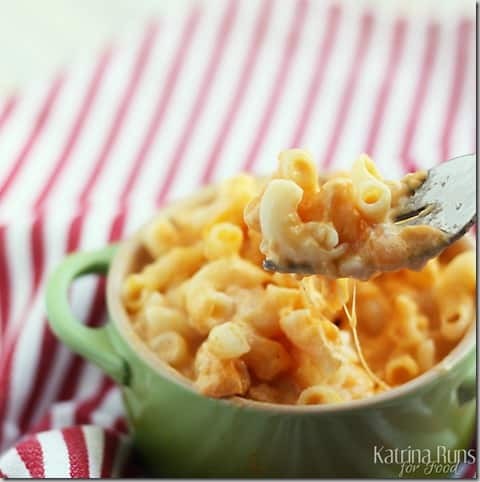 Place a layer of macaroni over the bottom of the dish. Add a layer of cheddar. Be generous with the cheese. 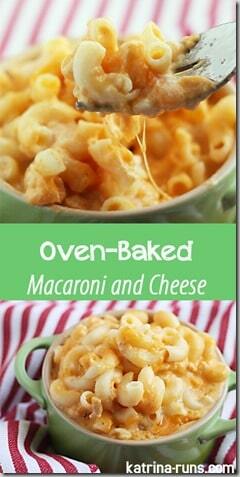 Add another layer of macaroni and another layer of cheddar. Repeat until cheddar is the last layer on top. In a large bowl, stir together both cans of evaporated milk, salt, pepper, and nutmeg. Pour over cheese and macaroni. Cook 20-30 minutes until the edges are crisp and bubbly. Remove and let it rest 10 minutes. If serving later, reconstitute the liquid by adding regular milk and reheating in 350* oven for 10-15 minutes. This is a great dish to have ready when dinner is ready. If it sits for longer than a few minutes, the noodles can soak up most of the milk. By adding a cup of regular milk and reheating, you can get that cheesy and creamy consistency again. Let me know if you try it! What is your favorite brand of gf pasta? 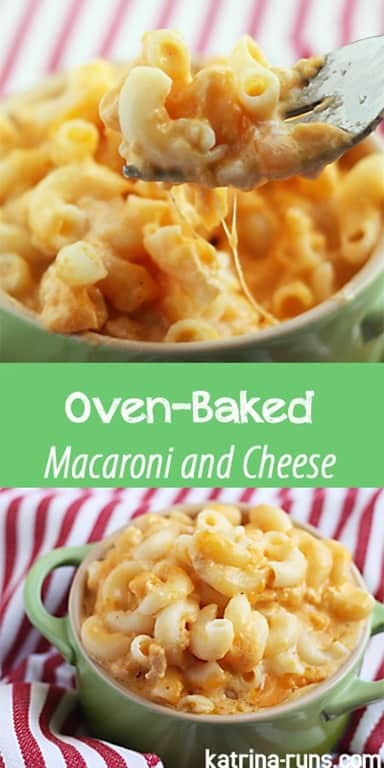 I am also a LOVER of mac n cheese and this looks A-MAZ-ING!